When the Wackers were recording their 1971 debut album Wackering Heights producer Gary Usher "told us that if it did well, meaning critically or sold a bunch of records or whatever, we could go someplace exotic to cut the next one," remembers singer-guitarist-songwriter Bob Segarini. "Exotic turned out to be Montreal. I thought, we're going to Canada? The record must have not done that good." But the Wackers would end up liking Montreal so much they would move there for several years. And Hot Wacks gave them the chance to record more music that properly reflected their harder-rocking live sound, even if disagreements over how to mix the end result would lead to the end of their working relationship with Usher. Wackering Heights had introduced a band that stood out as an anomaly on the early-'70s album-oriented rock scene with their affection for pop-folk-rock melodies and multi-part vocal harmonies, all owing much to the spirit that had driven the 1960s British Invasion. 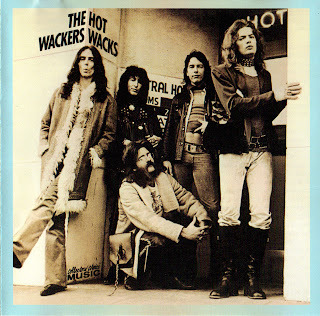 "The difference between Hot Wacks and the first album was that we started leaning a little more towards our live side," explains Segarini, who along with multi-instrumentalist Randy Bishop wrote most of the material on the album (though everyone in the Wackers made compositional contributions). "We wanted it to be a little rockier, a little more electric. Wanted a bigger drum sound and a bigger low end, and more electric guitars than acoustic guitar. I don't know if we were just succumbing to the fan reaction live, or whether we ourselves wanted to move away from the folky thing. 'Cause we were kind of disappointed in the first album, insofar as good friends -- people like [rock critics] Lester Bangs, Ben Edmonds, and Dave Marsh -- [were] going, 'I love the band, man, but the first record's a little wimpy.' You hear that stuff enough, and go, 'Okay, let's beef it up.' I like the sweetness of the first album, but I like the reach of the second album. We really pushed ourselves on Hot Wacks." Most of Hot Wacks was recorded in Montreal, Bob continues, "at a place called Le Studio, which was in a church across the street from the morgue downtown. That album was cut on two Trident 16-track boards imported from England, on 32 tracks. They had mechanically synced two 16-track machines so that we could record 32 tracks, which was unheard of in the day. The secret that came out years later, that they never told us, was the machinery never worked. Every morning at 5 A.M., two engineers would go in there and sync those two machines up by hand. It would take them six to eight hours. They did it every day, and never told us." 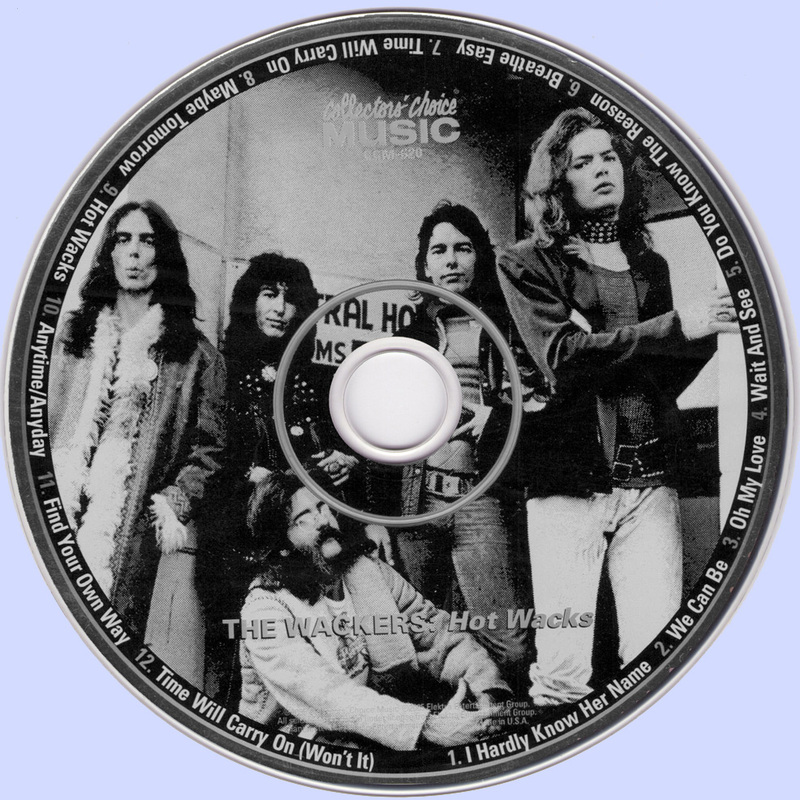 Most of the record was done in Montreal (the sessions taking a mere six days, according to the original LP's back cover credits), and most of it was written by the Wackers. But the track singled out for the most attention was the one cover, and the one song that was not recorded in Montreal. Their version of John Lennon and Yoko Ono's "Oh My Love," from Lennon's Imagine, was cut at Wally Heider's Studio in San Francisco (the vocals for one other track on the LP, "Wait and See," were also done at the studio, though everything else on that track and the rest of the album was recorded in Montreal). Issued by Elektra as a single, it has subsequently appeared on numerous bootlegs, mistakenly billed as an unreleased Beatles version of the tune. "I just went, 'Okay, now, we're doing this as though the Beatles were,'" says Segarini. "We're full-goose bozoing this thing as a Beatle track. This is an exercise in fun. How would Lennon have recorded this song if the Beatles hadn't broken up? That was the premise." Continues Bob, "We even flew [engineer] Ritchie Moore into Wally Heider's to record that track, because he and Usher knew how to get the slowed-down bass and drum sound we wanted, with a ton of compression on it. So we record the song slightly fast with the tape slowed down so that when they slowed it down, it had much more weight to it. You'll notice that the tom-toms are going 'poom-poom' -- that's how you do that. Then they compressed the bejeezus out of the bass and drums. We put on the 12-string guitar and all that stuff, quadrupled the vocals to get that beautiful silk sound." An especially imaginative touch was supplied by koto player Kathie Kodama. "I'm thinking to myself, 'They wouldn't use a sitar on this because this is not a George [Harrison] influence,'" elaborates Segarini. "'This is a John [song]. John's married to a Japanese [woman]. Japanese instruments...koto!' So I find a koto player at the University of San Francisco. She was like 18 years old, and she had a koto, which is huge -- the thing is like eight feet long, it's got four strings, it's like somebody just stuck strings on a log. She shows up with her father, and it took the first three hours of the session to get her to play [the koto riffs on the track]. Her dad wouldn't let her play those notes, because they weren't the notes that are supposed to be played on a koto. It's a traditional instrument. In other words, not unlike the sitar, there are certain things you should be able to play on it, and certain things you shouldn't. So we had to retune the koto and talk her into doing that, and we did. She was talking to her dad in Japanese all day, reassuring him that it was okay, that their ancestors weren't going to turn into Easter eggs or anything. But I love the sound of it. It did exactly what we wanted it to do." The first time Segarini heard it on a bootleg "was on a ten-inch from Germany called The Guitar Is All Very Well and Good, John, But You'll Never Make a Living With It. Then it was on like 180 other bootlegs as the rejected Beatles version from Abbey Road, which, of course, it isn't. But that was neat. It was nice to be alongside John Lennon and Beatles songs on bootlegs." They'd also fooled their producer, Gary Usher, in a different way when they sent him their demos of material during pre-production for Hot Wacks. "Oh My Love" was the last one they sent, as Bob had only gotten a white label test pressing of Imagine with the original Lennon version "the night before from Federal Express. So we didn't have time to learn the song, 'cause I had to go to the post office in the morning. So I just put the record on, then we overdubbed guitars and vocals and sent it to Usher. I got a call from him -- 'that's the best song you ever wrote.' I went, 'Yep.' Still is!" he laughs. Other comparisons to the Abbey Road-era approach of the Beatles might have been sparked by side two of Hot Wacks, which -- like side two of Abbey Road -- was largely devoted to a medley of sorts. Aside from the opening track "Breathe Easy," the side consisted of a ten-a-half-minute continuous string of tracks, opened by "Time Will Carry On" and concluded by "Time Will Carry On (Won't It)." "Those were bits and pieces of songs that Randy and I hadn't finished," comments Segarini. "We were working on one of them. I was hitting a blank wall with this stupid thing, and Randy said, 'Well, I've got this piece of music.' So we just strung stuff together until we found a spot where we could go back into the original lick. The parts that Randy sings, Randy wrote, the parts that I sing, I wrote. The demo was actually three guitars, bass, and vocals. We recorded it in the living room and sent it off to Gary, and he said, 'This is great. It's gonna get you guys over the top.' We actually did that song live, coast-to-coast television, live from New York, [on] a children's show called Take a Giant Step. It ran on Saturday mornings. We did that and one other song,. Usher flew out from L.A. and did the mix in the booth, and I would kill to find a copy of that, because it was spectacular." The Wackers and Usher did not see eye-to-eye on the mix of the LP, however. According to Bob, "We had a big falling out with Gary Usher, doing the final mix of the Hot Wacks album. In fact, he walked out on a mix, and got on a plane, went back to California. I never saw him again. We had to finish the mix of 'Time Will Carry On' on our own. Which we did. I mean, you couldn't have stopped the Wackers with a sledgehammer. We knew we were good, and we knew what we were doing. 'Where's the gig, where's the stage, where's the recording studio' -- that was the attitude. So -- 'Oh, Usher left? Are we gonna fall apart?' 'Nah, I got a train to catch this afternoon, let's finish this.'" Back in the 1970s, Segarini told Gary Sperrazza and Lester Bangs for a Wackers feature in Shakin' St. Gazette, "I can't really blame Gary, because he's a talented guy; he was bright enough to think that we could make good records, and we learned a tremendous amount from him. Someday we'd like to work with him again. But we couldn't get him to stop producing. He'd let us have bits and pieces of rock'n'roll, but they always sounded like there was a piece of gauze over it. We could never get him to kick back a little bit." Added bassist-guitarist Bill "Kootch" Trochim, "No matter what he does he has to take the longest way around, do it the hardest way possible. Instead of putting a room noise on a cut he'll do a fifteen IPS round robin or a seven-and-a-half IPS round robin and put it way off in the right speaker somewhere. It'll sound the same, except that it'll have a tendency to sound sterile." Reflecting on the matter today, Segarini is still a little disappointed that the group's records didn't entirely capture the live energy of the band, as "live performances of the Wackers would blow your mind. They were very electric, very jangly, very much more rock-ish. Nobody ever really tried to capture what the band had evolved into." Just as their records weren't quite coming out the way they wanted them to, neither did the artwork. Segarini says Elektra turned down "the cover that we wanted because 'we looked too much like girls.' Which is really ridiculous now. It was an amazing picture of the band. I think we were wearing about $150,000 worth of turquoise and silver jewelry, and everybody had their hair done and their makeup done. It was an amazing thing. They really toned it down, 'cause they were embarrassed by it. They had absolutely no idea what we were doing." At least the band did manage to give a full paragraph's work of interesting thank yous on the back cover credits, including "special thanks" to Dave Marsh, Lester Bangs, R. Crumb, Gilbert Shelton, and fellow Elektra artist David Peel. There was also a special "P.S. Don't forget to register to vote for Frank Zappa at least (and yourself as well)." Segarini had known Zappa since the late '60s, when they were neighbors in Laurel Canyon, and "I'd see him mowing his lawn in shorts and a Hawaiian shirt all the time when I'd go by that house. [I] almost ran over Moon Unit when she was about one." The plug to vote for Frank Zappa got on the back cover "because that was when Frank probably the most logical man that ever picked up a guitar, and always on the side of common sense and practicality. Made great music; sort of personified to me the driven musician that was all about the music. Frank was just a cool guy." The back cover also credited managers John Frankenheimer (now co-chairman of the prominent Los Angeles legal firm Loeb & Loeb) and Bill Siddons (who was also managing the Doors at the time). Playing as the opening act for the Doors when that band toured as a trio following Jim Morrison's death, the Wackers ended up attracting rather more attention than Siddons attended. "After Jim died, he wanted to re-fire their career," recalls Bob. "So they did a big tour, and halfway through the tour, we were barred from the press parties afterwards because the Doors are...I mean, god bless those guys, but they're kind of dull. And we'd be over in the corner singing three-part harmony Beatle tunes and everybody was having a great time. So we got a note one morning in a hotel saying, 'Re: tour press meet'n'greet, your presence is no longer required. Have fun. There's extra money in a per diem to go out in whatever town.' So we went, 'Yeah, okay,'" he laughs. "'You're an idiot, but okay.'" 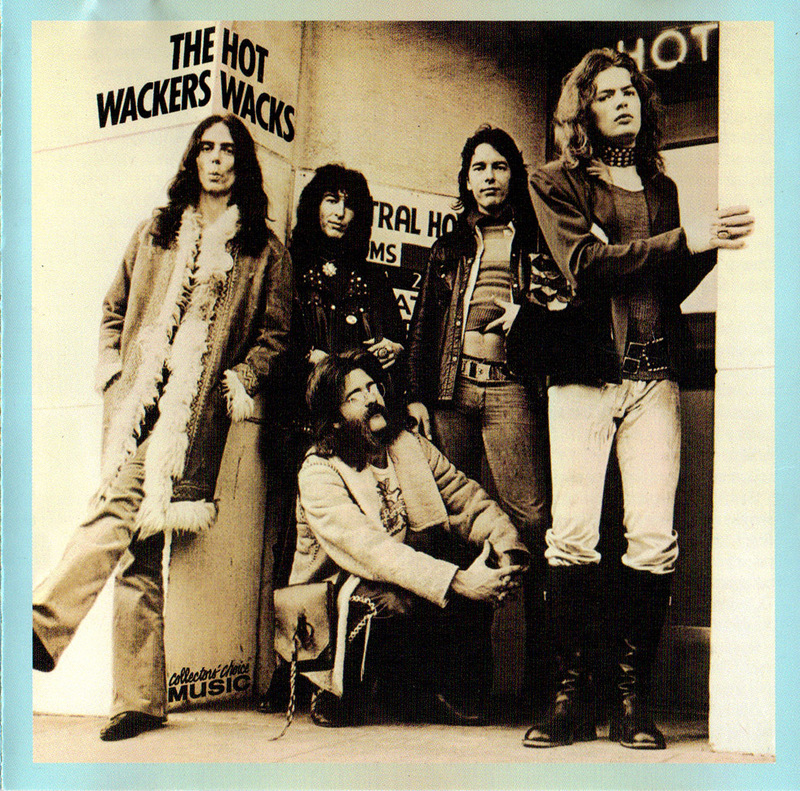 One inadvertent consequence of the Hot Wacks sessions was to establish the Wackers as a popular live act in Montreal. Though they returned to California after the album was finished, they came back to play for about two months straight at the Mustache club. "We always referred to Montreal as Hamburg after that," remembers Segarini fondly. "Because we got great. We played extra sets at five in the morning for mob guys and their mistresses in mink coats, and they'd stick $100 bills in our pockets. It was an amazing time." So well were they received in Montreal, in fact, that the Wackers were based there by the time they released their third and final Elektra.